Our team of attorneys at Magill and Guzman Magill can help defend you if you are charged with any of these driving related crimes. For DUI defense, scroll down or click here. Someone is killed as a result of the action. If the action committed was a felony, however, and resulted in the death of a person, you can be charged with murder/homicide under the California felony-murder rule. The action was due to a sudden emergency and you were acting reasonably under the circumstances (such as diverting your car to avoid a collision). Depending on the cause, your driver’s license may be suspended from anywhere between 30 days and 1 year. The penalties for driving with a suspended license will also vary, depending on the reason it was suspended in the first place. The key defense to a charge of driving on a suspended license is lack of knowledge that your license was suspended. Unless it can be proven that you were aware of any suspension, you cannot be charged. Additionally, if you have the right to drive under a restricted license and were adhering to the terms of the restriction, you cannot be charged. In California, a hit and run can be charged as either a misdemeanor or a felony. You may be charged with hit and run in any instance in which you leave the scene of an accident without first identifying yourself to the other persons involved, and either another’s property was damaged or an injury occurred. In the case where property damage occurred, the hit and run will be considered a misdemeanor. If an injury or death occurred, however, it is a felony. The charges of hit and run apply regardless of who was at fault in the accident, the amount of damage occurred, or the severity of the injury or injuries. If you attempt to evade a police officer while they are performing their regular duties, you may be subject to a jail sentence of up to one year. If the evasion results in somebody becoming injured, however you may be subject to up to 1 year imprisonment in a county jail OR up to 7 years in a state prison, a $2,000 to $10,000 fine, or both a fine and imprisonment. If you suspect that the officer did not have probable cause to stop your vehicle, or arrest you for drunk driving, then you may be able to prevent evidence gathered during the arrest (such as breathalyzer data) from being used in trial. If you believe you were stopped because of your race, ethnicity, or other issue, and not because you were driving recklessly or appeared to be under the influence, you may be able to challenge the arrest. Were field sobriety tests performed under the federal standard? An officer may fail to carry out a field sobriety test to the federal standard. Additionally, there are many reasons other than being under the influence that may cause one to fail a field sobriety test. Instructions may be given in a confusing manner, and age, injury or a medical condition may affect balance. Also, the use of contact lenses or the presence of an eye disease may result in failure of the HGN (horizontal gaze nystagmus) test. Could the breathalyzer have been improperly maintained or malfunctioning? Breathalyzer results can be shockingly inaccurate. A quick search will pull up hundreds of cases in which breathalyzers were found to give incorrect results. These may be due to a manufacturer’s defect, incorrect calibration, or improper maintenance and upkeep of the device. Were chemical tests correctly analyzed? Were samples contaminated? Verification of blood testing results through independent laboratories may sometime find different results than those completed by the police force. In fact, there have been many instances in which samples were found to have been contaminated from outside sources. Do you have a medical condition that may mimic impairment or cause a false positive on a blood alcohol level test? There are many causes for false high blood alcohol readings in a breathalyzer test. Those with diabetes or hypoglycemia can often trigger higher results in a breathalyzer test due to the presence of acetone in the breath. Additionally, certain diets, such as a low-carb diet, have been found to increase the level of acetone in the breath. The use of an asthma inhaler can also give a false positive on a breathalyzer test. Additionally, as breathalyzers are typically calibrated to use a breath volume of 1.5 liters, those with smaller lung capacities may show results with a higher alcohol percentage. Reasons for a smaller lung capacity can include bronchitis, asthma, emphysema, fibrosis, scoliosis, amongst others. In order to contest a DUI arrest, you must first request a hearing with the DMV within 10 days of the arrest. Your DUI attorney can request the hearing for you, this can benefit you in that your DUI attorney can sometimes request a later date for the hearing, allowing for more time to prepare, as well as possibly being able to influence which DMV hearing officer is assigned to the case. The goal of the DMV hearing is to prevent your driver’s license from being suspended. In most cases, your DUI attorney will attend the hearing for you, and you may or may not even need to attend. This is where your lawyer will try to contest and throw out certain evidence used against you, such as a faulty breathalyzer test or a sobriety test carried out incorrectly. Results from the hearing are mailed out within one to 30 days. If your license does get suspended, you may still be able to apply for and receive a restricted license. This will allow you to drive to and from work related activities, court, or a DUI alcohol program. The next step is the DUI court proceedings. In a DUI case, there are usually two misdemeanors to fight: the DUI as well as Driving with Excessive BAC. The goal of these proceedings is to avoid both of these charges. During the court proceedings, your lawyer contests evidence and negotiates with the judge and prosecutor to seek a dismissal or a reduction of the charges. Like the DMV hearings, your DUI attorney can typically attend all of the DUI court proceedings on your behalf. However, there may be instances in which you must testify in person. You may also need to attend in if case goes to trial. 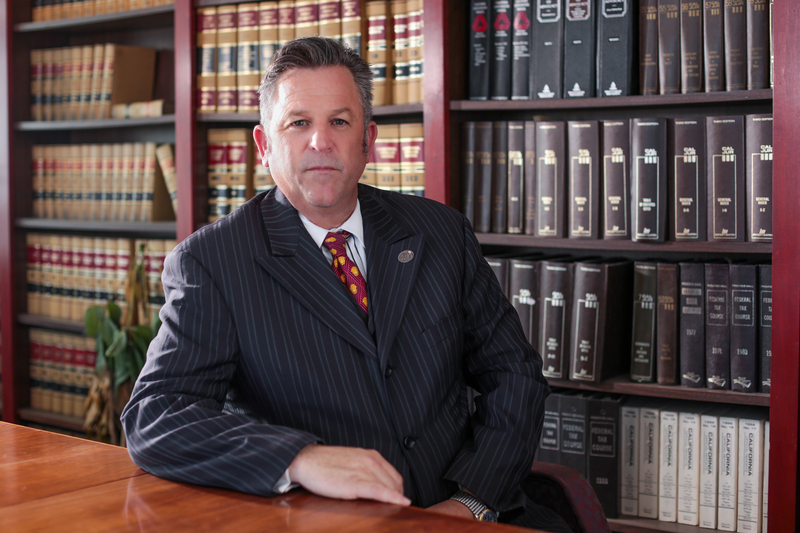 DUI proceedings can span several court dates, and last several months.